Aviation English is a language course for aviation professionals, particularly pilots and air-traffic controllers. It has been specifically designed to help students achieve and maintain ICAO Level 4. 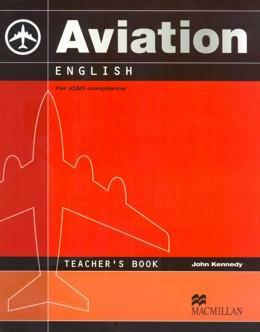 This Teacher´s Book is a useful source of ideas and support information when using the course, particulary if you don´t have a background in aviation. In addition to teaching notes, answers and tapescripts you will also find a two-page introductory text for every unit in which the relevant aviation concepts and the necessary technical vocabulary are explored and explained. A section at the back contains additional photocopiable activities for use in class.